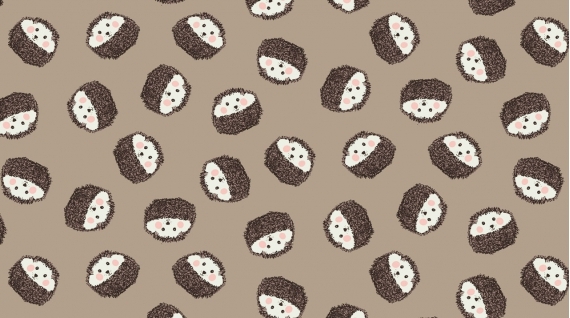 brown hedgehogs on a taupe background. 100% cotton fabric. 44"-45"